Grab a drink and a snack, this is going to be a long one. I have a real love, hate relationship with instagram. Its a great platfrom to post pretty flatlays, be nosey and stalk the hell out of your old school friends. But its also a right pain, unfortunately some bloggers and in general 'users' think its acceptable to do certain things that get my blood boiling. In the past few weeks I've seen so many tweets about instagram, I just had to write it all down. We've all been there, you hit a goal on following and then bam someone unfollows you. I know there's all that talk about 'numbers don't matter' but in a sense they do. Without a strong following many brands wouldn't work with you, which for some people instagram is their biggest following so for them it does matter. There are a few accounts that I get followed by, get so excited because they have such gorgeous photos, or are really well know and then they go and unfollow. Why?! They seem to wait until you've followed them back, to give them that extra number and then they unfollow you because you've done what they've wanted and thats it. The best thing is, they think you can't see it, but apps and websites allow you to see who's unfollowed - so bye bye. I don't understand why people with thousands of followers think its acceptable to follow you for about an hour and then unfollow. Its not cool, as a community we need to be supporting one another not doing this childish game. I don't unfollow people, unless they've unfollowed me. But I would never just follow someone to unfollow later on after they've followed me back - its stupid. There are a few accounts who do this to me constantly, I think its time to either name and shame or message them to ask why - or is this too rude? We should be following people on instagram because we love what they post, not because it helps numbers. Its about numbers and the content you post. 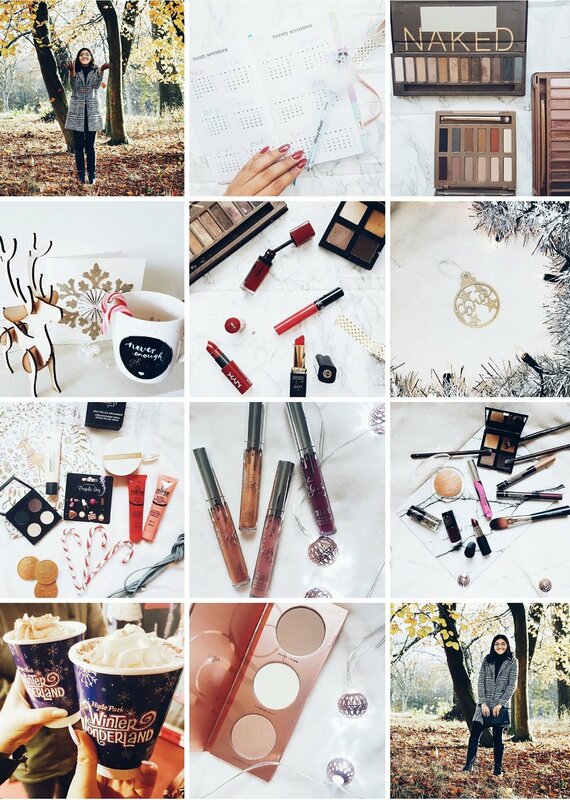 I'm in an instagram group with some other lovely bloggers, we all reply and comment on each others posts and it helps a great deal. Its this sort of love that we need to spread not hate. I've recently noticed this happening a lot, people like your photos, sometimes 5 and sometimes all (yes its happened). But they don't follow you? To me this is just stupid, if you clearly like someones photos, surely you want to see more of what they post - then why not just follow. There used to be the whole 'spam for spam' thing on instagram to help with likes but to be honest since the algorithm has changed everyone needs to be friendly and nice is this too hard to ask for? Just follow someone, like a few photos, comment on a couple and then keep a look out for other posts. If you don't want to follow them then that is absoutely fine, I'm not saying you have to follow every single person on the planet, just be wise about it. Shamless plug but my instagram is pariejoshi, leave me yours so I can follow you!